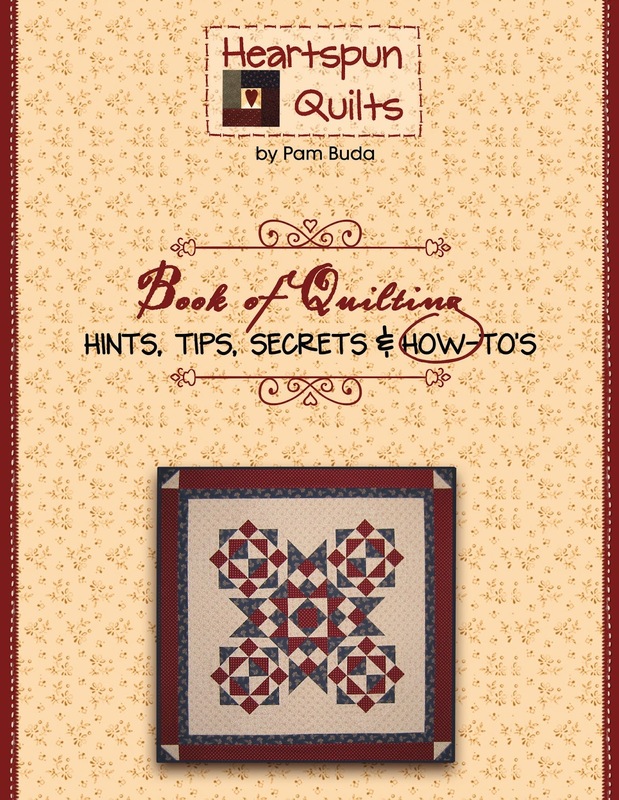 Over the past few months, I have been doing some updating and revisions to my Book of Quilting Hints & Tips. I first self published this book about 10 years ago, with a make-do cover in a prong folder, which was all I knew to do back then. It was time for a change!! The Quilting Hints & Tips book has a brand new cover and is professionally printed and spiral bound now. The pattern for the quilt on the cover is in the book. If you already own a copy, there is no need to buy a new one. But....if you don't have a copy of your own, you are missing the best hints in fabric preparation, cutting, piecing, pressing, accurate 1/4 inch seams, piecing perfection, and so, so much more....all the way to making labels for your quilts. Click here to read more details about what is in the book. Order your copy today! Looks really nice, Pam. Yes, I have it and have made the quilt on the cover. in fact, I referred to this book at our first Circa 1880 Club meeting. I purchased this book during the first Prairie Womens Sewing Circle. It's full of wonderful tips. I think it would be especially helpful for new quilters. I also got your original book while in the Prairie Women's Sewing Circle club. It's full of all your great tips that makes a quilting girls life that much more fun!! !